Heroes of the Storm's newest hero is Orphea, Heir of Raven Court and born from the Nexus – AiPT! The first ever Heroes of the Storm hero to be born straight from the Nexus. Today at BlizzCon Blizzard announced the first ever original character to come to Heroes of the Storm, Orphea, Heir of Raven Court. 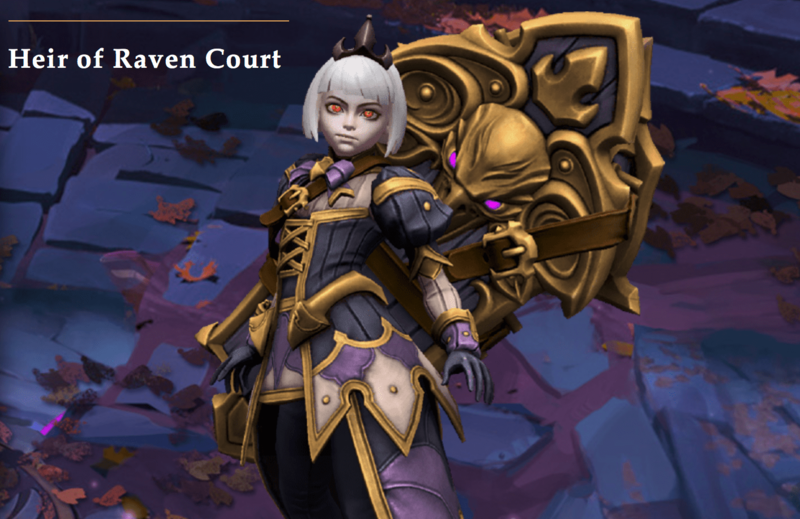 Orphea is the heir of the Raven Court and daughter of the ominous Raven Lord. With all of the Raven Lord’s former adversaries destroyed and the Nexus on the verge of total destruction, Orphea is the only being capable of stopping her father’s evil machinations. Orphea is a highly mobile assassin hero that specializes in area-of-effect damage. She appears as a classy young woman in her dark Victorian-era dress and sports red eyes and a white bob haircut. On her back Orphea carries an ancient shield relic with a giant raven’s face carved into it, which assists her in channeling her ancestral magic. The shield sports a large raven on its face. Orphea is free to all BlizzCon attendees and virtual ticket holders. Everyone will be able to purchase Orphea on November 13. For a close look at her mounts, skins, emojis and sprays, click here.